April is Financial Literacy Month, which means it’s the perfect time to take stock of where you stand, money-wise. So are you wise about money? Auto insurance is usually the first insurance product that young people buy when they set out on their own, and it’s something every driver needs for as long as they're behind the wheel. For most people, that’s a lifetime relationship. That’s why it’s crucial to understand exactly what you’re getting when it comes to your auto insurance policy. 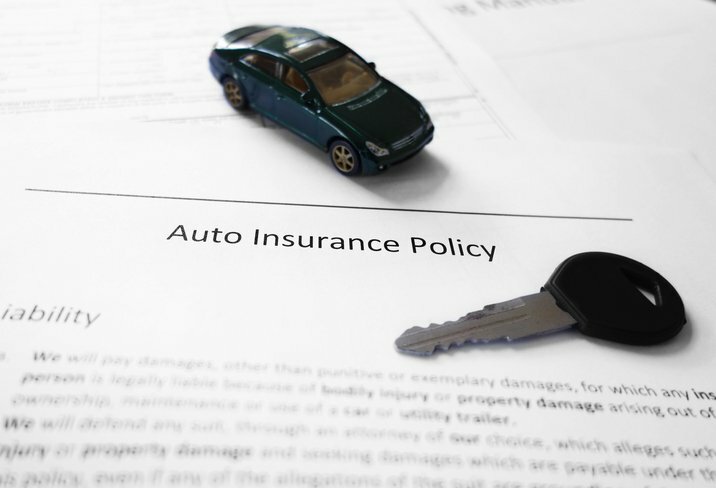 Auto insurance is designed to protect you from financial ruin if you’re in a car accident. Basic coverage includes damage to your vehicle, to others’ property, and physical injuries. If an incident happens that involves your car, the insurance company pays the costs to make it right. But the insurance company doesn’t pay for everything. Their payments kick in only after you pay the deductible. The deductible is the amount of money that is subtracted from what the insurance company pays. You pay first; the insurance company makes up the rest. For example, let’s say a tree fell on your car and caused $1,000 of damage. Your insurance policy has a deductible of $500. That means your insurance company will pay for the damages minus $500, so in this case, they would pay $500. You’re responsible for the other $500. If the damages only amounted to $500, the insurance company wouldn’t pay anything. The premium is the total amount you pay for your insurance policy, either in monthly installments or in a yearly lump-sum payment. This amount does not include the deductible, which you only pay if you need to make a claim for damages. According to DriversEd.com analyst and personal finance expert Laura Adams, you can always shop around for better rates on your auto insurance premiums. "You may be overpaying if you haven’t shopped and compared quotes in a while," she says, because "no two insurers charge the same rate for the same policy." When you compare rates, it’s important to look at your coverage as well as your deductible. Insurers charge higher premiums on policies with low deductibles because they know they’ll have to pay out more if you make a claim. The inverse is also true: having a higher deductible will mean a lower overall premium. That’s because you take on the risk of paying more if you have an accident. To recap the rule: As your deductible goes down, your premium goes up. As your deductible goes up, your premium goes down. Insurance companies assume that the average driver will have a crash once every 18 years. If you’re a good driver, you could go for decades without making an insurance claim. To save money, your best bet is to choose a policy with the highest deductible you can. That’s because you only pay the deductible if you make a claim, but you’re guaranteed to pay the premiums every year. So how much of a deductible can you afford? It depends on your savings account. You should only choose a deductible that you can comfortably cover in cash if you have an accident. If you only have about $500 in an emergency fund, then a $500 deductible is the right choice. If you have a bigger cushion, consider raising that deductible to enjoy lower rates. In the long run, you could save enough on your premiums to cover the deductible in full—if you put that money into your savings account instead of blowing it on lattes. Making a smart financial choice about your car insurance doesn’t have to difficult. Shop around for quotes, and be sure to ask each insurer for rates that reflect several different deductible options. Choose the highest deductible you feel comfortable with, and bank those premium savings for a rainy day.